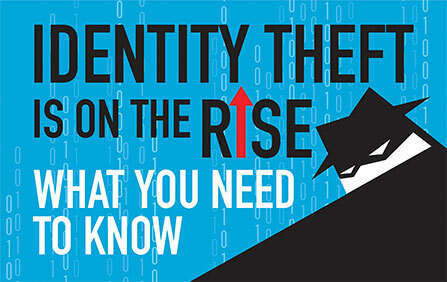 Identity Theft Insurance — Ensuring you're protected and covered; today and tomorrow. Identity theft insurance is often times included or is an option to include in your homeowners, farm or renter’s policy. These types of claims are ever increasing, this is why some coverage is often automatic on the policy. However, it’s. smart phones, online ordering, online banking, social media among other things that provide opportunities for your identity to be tampered with. ID theft insurance provides you access to a resolution expert who assists in completing paperwork and documentation to resolve the issues from filing a police report to notifying credit bureaus, collection agencies, creditors, etc. that your ID has been compromised. Other means for your identity to be stolen is if critical paperwork is stolen or lost. Theft of documents from a safe or a natural disaster destroying documents are also instances where this coverage may be used. Having assistance to gain emergency access to accounts, assistance in accessing financial records and replacement of the lost documents are all benefits of the coverage. This coverage does not cover direct financial losses you may incur as a result of identity theft (e.g. money stolen from your bank account). It reimburses for the expenses that happen after identity theft occurs those that are listed above as well as things like lost wages (if time off work is required to handle claim), notary and legal fees.